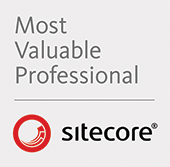 Hi, my name is Mark Ursino and I’m a Sitecore MVP and general Sitecore enthusiast. Yep, enthusiast. I’ve been using it since 2008 and have been leveraging this blog to share my insights, learnings, tips, and tricks. Please feel free to reach out to me via the form below or email me. Email me at mark at this domain or fill out the form below (former method preferred).